Just a house tool? More like, a power tool! A hammer-and-nail method is good for working on softer materials but when it comes to harder materials, using a drill is the way to go. Not only will you be able to conserve your energy, but you can have total control over the depth and width of the hole which produces a nice, clean symmetrical hole. If paired with the right accessories, a drill can function as another power tool. With that being said, it’s the one power accessory which every home should have. Depending on your needs, we’ve listed some of the best available drills below. The Bosch Go Solo Mini X Line Drill and Driver is a mini yet mighty marvel which is much more powerful than it looks. Despite being lightweight and easy to grip, this cordless drill is 4 times stronger than most drills in its size category. With an extra strong battery and an intelligent E clutch that allows for a simple drill activation, it is extremely instinctive to use. The drill can be used on wood, metal and masonry. Dewalt’s D25012K Rotary Hammer Drill is a monster when it comes to drilling through bricks and concrete of up to 20mm. This drill features a vibration-reduced and overload-protected 650-watt motor that can churn out 8 ft/lbs of force. With the right bit, you won’t have any problems drilling through concrete and other materials including metal and wood. There’s also a variable speed trigger to allow you precise control, and the side handle can be adjusted to fit into tight places. Black and Decker’s HD555KOPR is a 550W hammer drill that can be used for a wide range of applications. With an ergonomic design and 2-finger trigger, you won’t put too much strain on your hands when using this drill. It can work well on just about any surface, with the variable speed motor being adjustable depending on the material being drilled. Cordless drills are great when you don’t want the hassle of cords and electrical extensions getting in your way. Although not as powerful as a drill, but they are functional during a blackout as well as without a plug. The Bosch GSR-180Li 18V Cordless Drill and Screwdriver is a powerful cordless drill that utilises an 18V lithium-ion cell battery and is designed to work longer and harder than many generic cordless drills. It features a powerful motor with changeable carbon brushes for easy maintenance. With an LED power balance indicator and a 2-speed gearbox to optimize torque according to usage, this drill is a real winner. If you need a powerful hammer drill, they don’t come much more powerful than this 790-Watt beast. The Bosch GBH 2-24 DRE Professional Rotary Hammer Drill ensures power, performance and durability. This drill can be used for drilling, chiselling and hammering with a monstrous max steel drilling diameter of 30 mm. It can be used on a variety of materials including wood, metal, masonry and even stainless-steel with the correct bit attached. Core drilling requires precision with little vibration movement for the best results. Such a drill is the Bosch GSB 16RE with the TZ-6102 Drill Stand which is perfect for core drilling. The Bosch GSB 16RE is the most powerful compact drill in its class which has been designed to work on almost any material. Precise drilling is made possible with the speed pre-selection setting wheel and electronic control speed trigger. Also, its rotating brush plate allows for constant power whether in forward or reverse modes which are well suited for core drilling. When removed from its stand, the Bosch GSB 16RE makes a versatile stand-alone drill. Metal and aluminium can be tricky to drill. You’d need a steady hand and the right drill to do the job. In that case, you can trust the PU-PM3, a high torque 16mm hand drill with a unique spade-shaped handle, to give you greater control and accuracy when drilling. Its 670-watt motor pumps out 6 feet per pound of torque, allowing you to drill with precision even on tough metal surfaces such as hardened steel or aluminium. The motor has been designed to last even when used for heavy loads with a built-in auto stop. 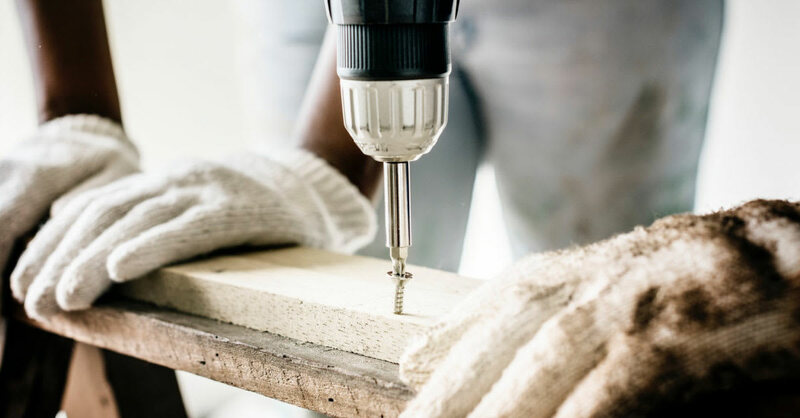 If you want, swapping out the drill bits lets you work on other surfaces such as wood and masonry. You can even use it as a mixer with the correct extension.